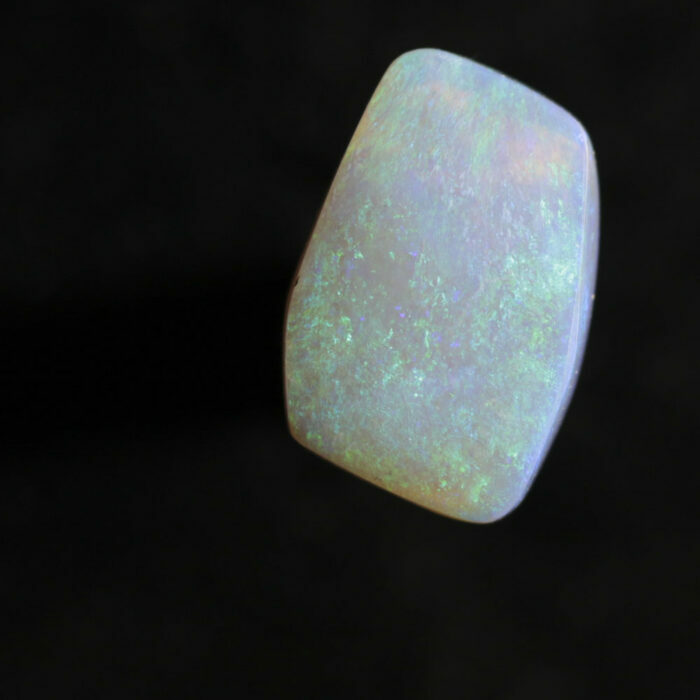 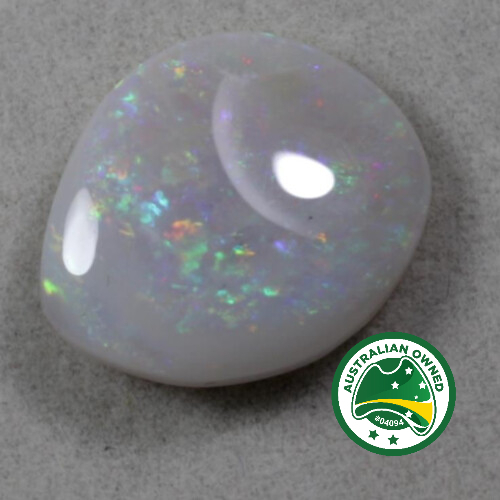 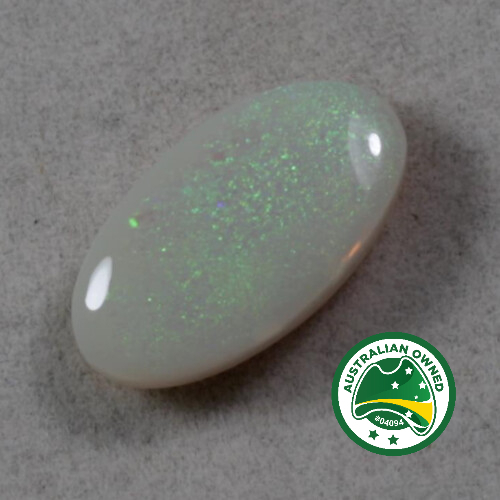 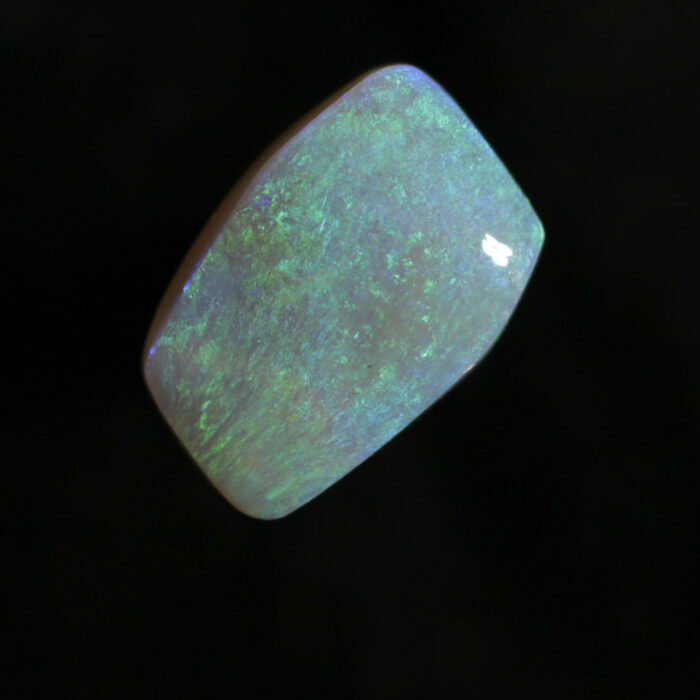 Free form solid crystal opal. 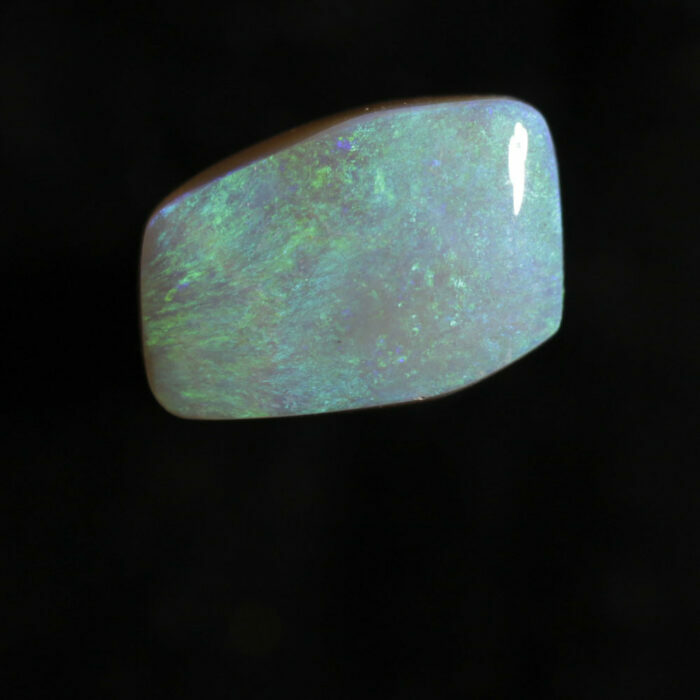 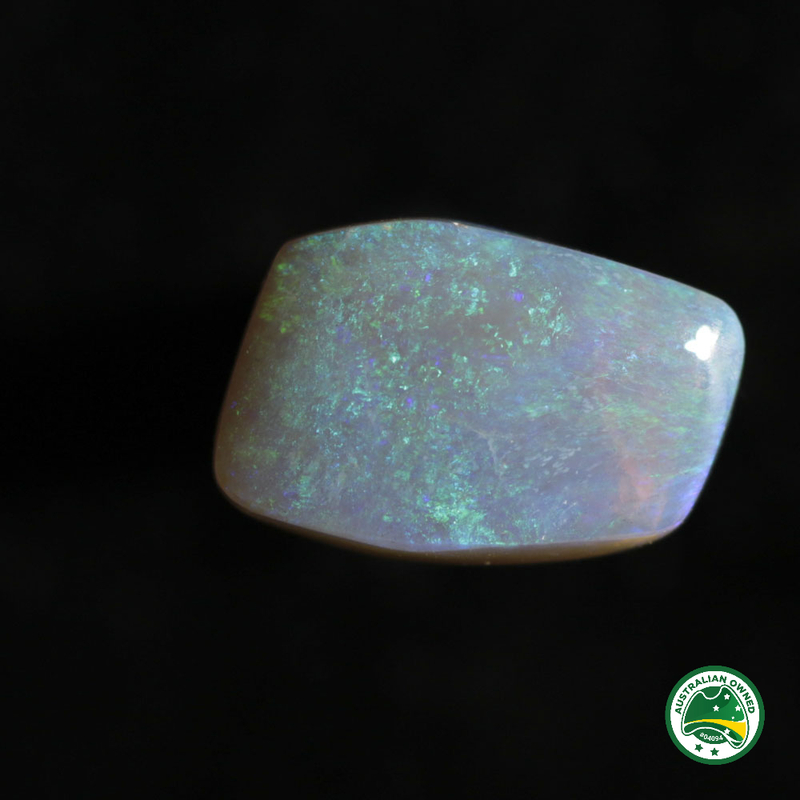 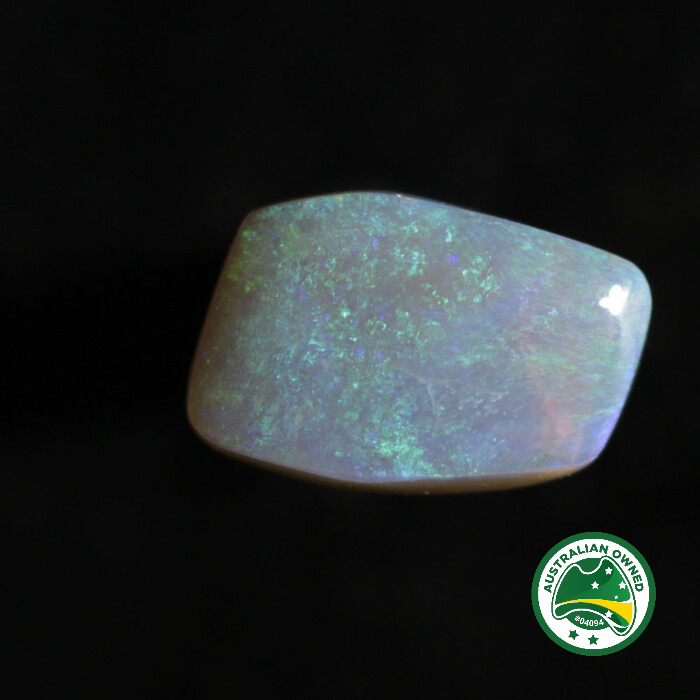 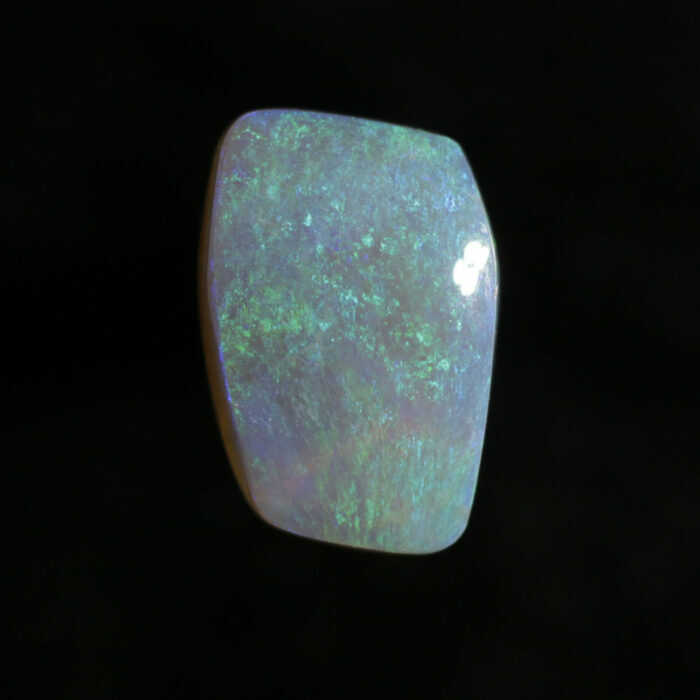 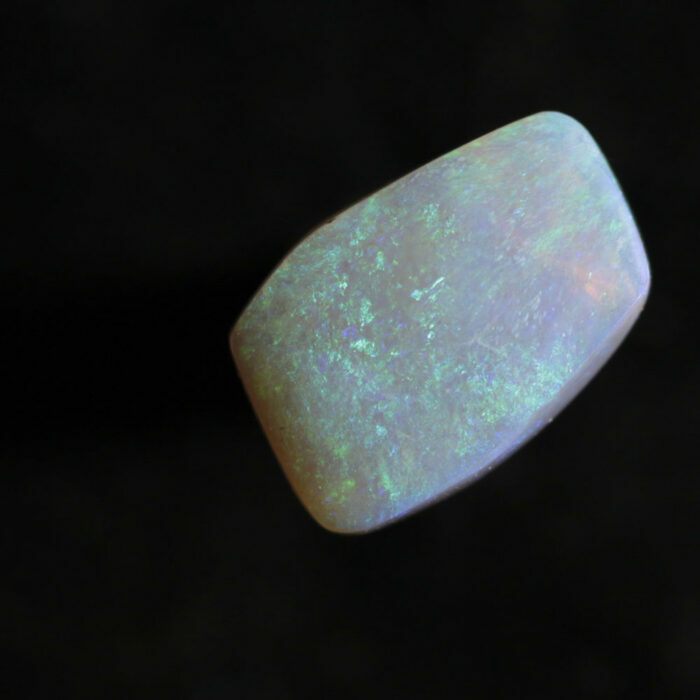 The stone has a ‘light opal’ appearance with soft mid-blue, turqoise, and mid-green fire in a lovely swirling pattern. 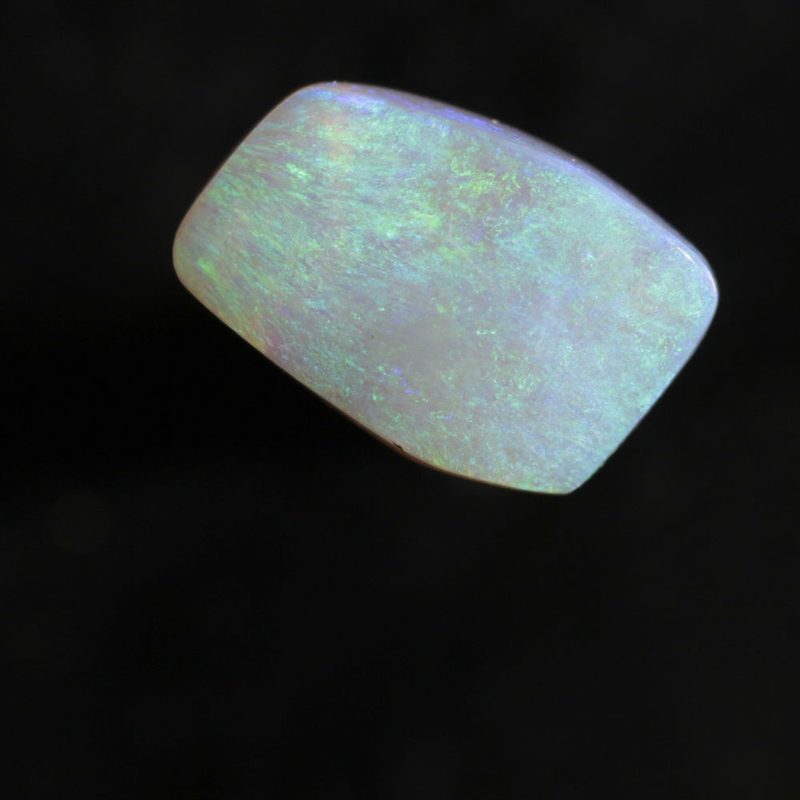 The face has been carved in a convex shape with a small hollow on the upper right. 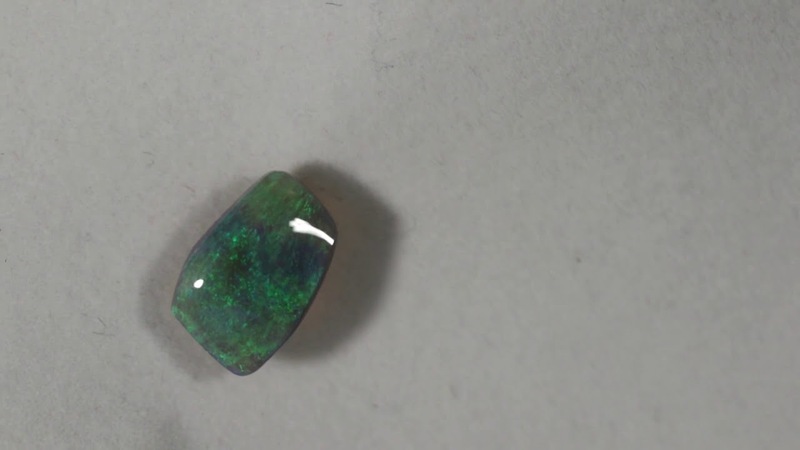 This is done to reveal the colour..